The other day I saw something on Twitter that said “This is that once I get home I’m not coming back out weather” and I have yet to relate to something more on the internet. My house is my place of comfort and living by myself has just exacerbated that. I’m willing to spend money on things that make me comfortable in my house because it’s truly my place of peace (also rent is too high for ya girl not to be comfortable in my home). I know you didn’t expect this one. I definitely didn't but Five and Below definitely has some cute rose gold holiday decor and I actually found mine and Chris’ stockings here. I wasn’t going to pay $25-29 each for a stocking because ya know, no. These stockings cost me $8 total! 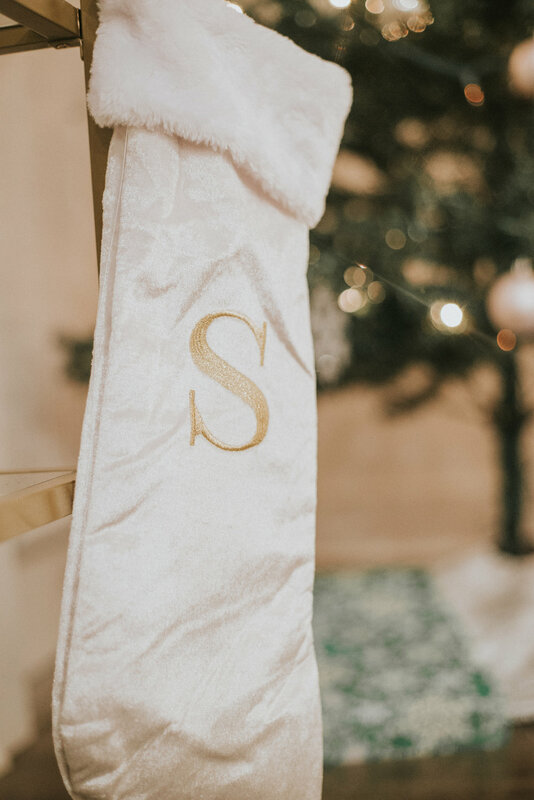 Michael’s is great for both already made Christmas decor as well as Christmas crafts you can make into your own personalized decor. 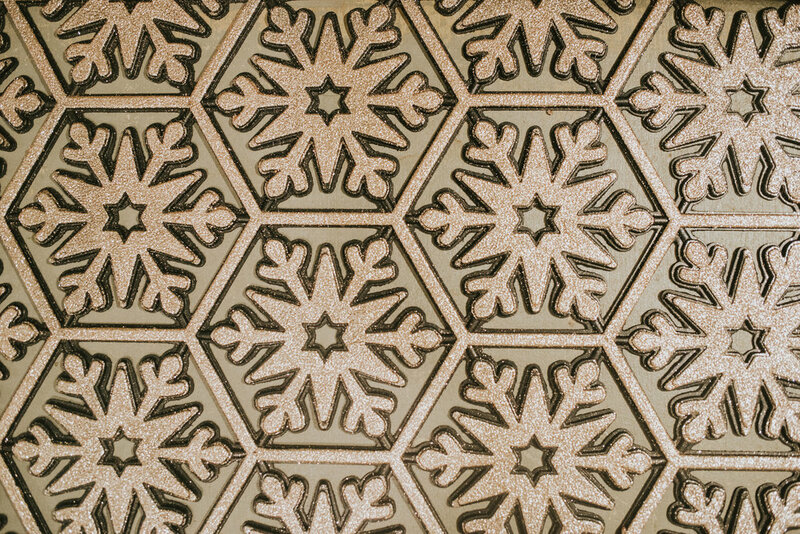 Crafting is one of my favorite budget friendly holiday dates which you can find out more about here. 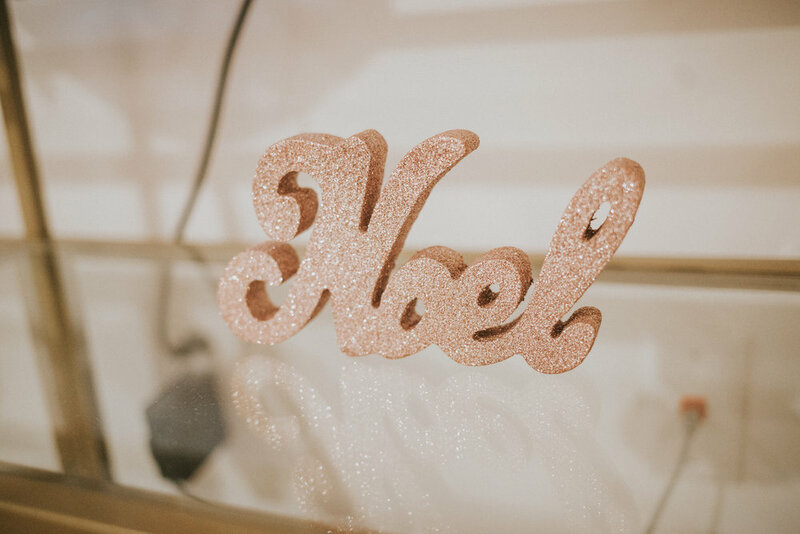 I got this cute little noel sign for my tv stand from Michaels when their Christmas decor was 50% off. You can usually find their Christmas decor on some type of sale or you can almost always find a 40% off coupon. At Home is literally the home superstore. Imagine a store the size of Walmart selling everything from furniture to soap dispensers because that’s what At Home is. I’ve found they have the most reasonably priced ornaments. 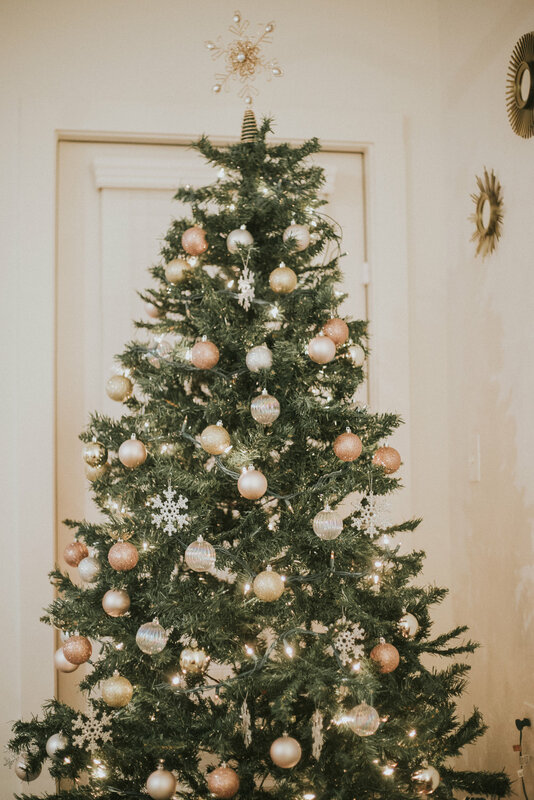 I got a set of 55 champagne, blush and gold shatterproof ornaments for only $12.99! 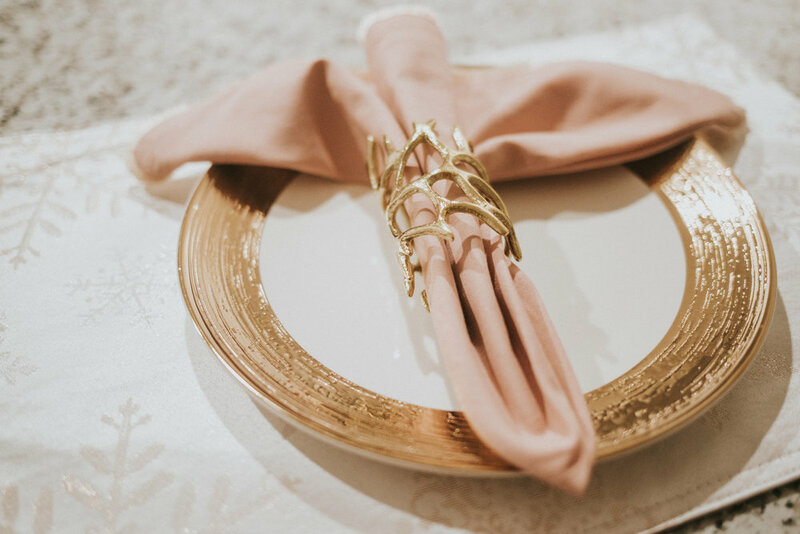 I also filled my table centerpiece (also from At Home) with gold ornaments to add to the table. I could live in Home Goods. Usually when I’m “running errands” I’m actually in Home Goods. Their selection of pillows is worth checking out especially since it they have holiday pillows that aren’t your typical red. I was very serious about finding a throw pillow that would go with my holiday chic vibe. Last but not at all least is Big Lots. I didn’t expect Big Lots to have as much glam decor as they did so I felt like this was a win. I was completely shocked but their Enchantment collection had everything I needed including: placemats, a doormat, my tree skirt, my kitchen towels, and the star for my Christmas tree! All of these items total cost me less than $50 which was the real win here. 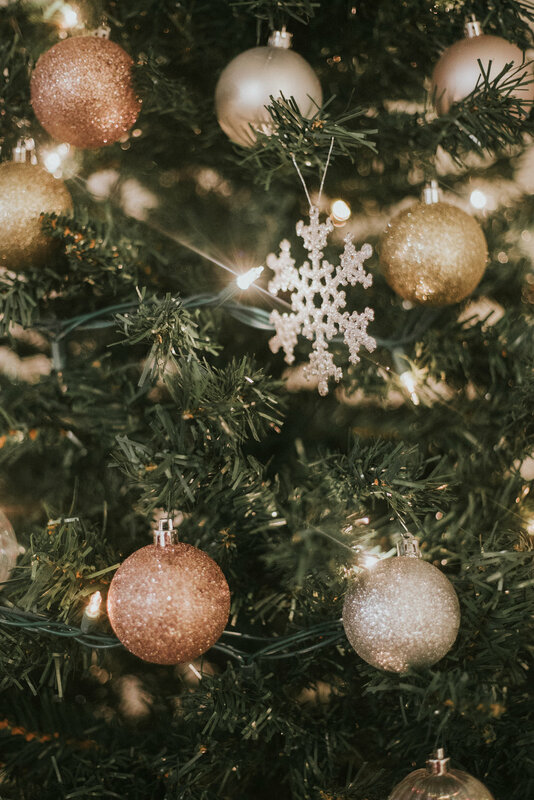 I hope you’re getting geared up for the holiday season and that you’ll check out some of these retailers when looking for affordable and gorgeous holiday decor.